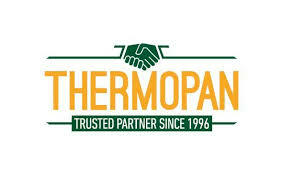 Thermopan Ltd. is a company specialized in the production, import and distribution on a national level of building materials. Founded in 1996, it started its activity with local commerce, continuously diversifying the range and the assortment of the products. Our goal is to expand our export capacity to new markets.